From dragging car seats in and out of the house to stacking pillows, trying to hold your baby in an upright position after every meal to avoid acid reflux can add time, work and frustration to every feeding! Solo Diner is the answer! Solo Diner is the perfect go-to seat for bottle-feeding, spoon- feeding and lounging! Solo Diner holds your baby in the correct upright position during and after a meal to eliminate acid reflux and spitting up! Made of 100% foam and cotton, Solo Diner is so comfortable it will become your little bundle’s favorite place to lounge and dine! Safety harnesses hold your infant securely in place. Positioning provides perfect feeding posture to aid in digestion and help relieve the symptoms of reflux, colic, colds & breathing difficulties. Armrest alleviates strain on your neck, back, and arms. There is a convenient bottle holder on each side, so whichever hand you use, there’s no more spilled milk & no more mess. Use the other bottle holder for your water bottle or phone! Perfect for spoon-feeding first solids. 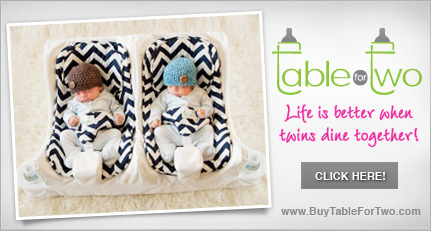 Stylish and comfy machine-washable inserts ensure that your baby dines comfortably! Sturdy and easy to clean & transport. Use from a preemie to a minimum of one year old for bottle-feeding and spoon-feeding all of their meals and then Solo Diner will become your toddler's favorite recliner! I have been desperately searching for a nap nanny alternative. When a friend told me about Solo Diner, I could not order it fast enough! My daughter has horrible acid reflux she has to sit upright during and after feedings. Solo Diner has been an AMAZING help and the icing on the cake is it is the cutest seat ever! I call it my nap nanny on steroids! Choose from an array of colors and patterns that will be sure to compliment your nursery or house! Made of 100% cotton, seat inserts are durable and machine washable. They simply velcro in for convenience and the headrests adjust to fit your babies' height. Got Twins? Check out Table for Two!